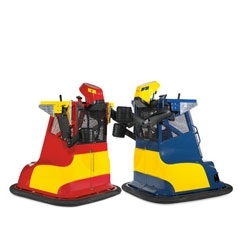 Bionic Bopper Cars, motorized boxing machines. 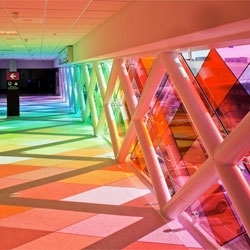 Harmonic Convergence installation by Christopher Janney, at the Miami International Airport. 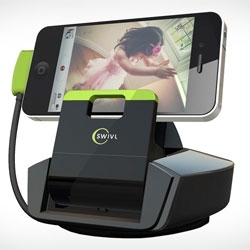 Swivl, a sensor enabled and motorized base for your mobile video device with a paired marker. 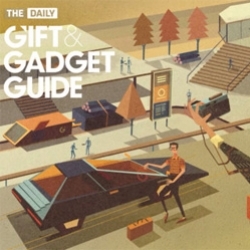 That means this iOS compatible dock can follow your movements by tilting side to side and up and down. 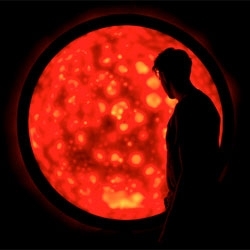 VIDEORafael Lozano-Hemmer’s Flatsun, which flares up as visitors approach. 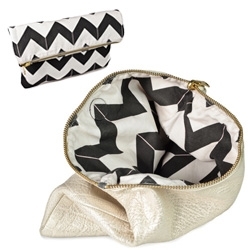 Hammocks & High Tea Chevron Reversible Clutch! 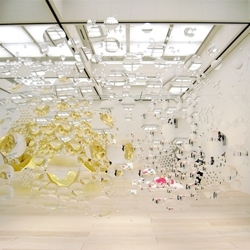 Contact lens by Haruka Kojin at the Museum of Contemporary Art Tokyo. 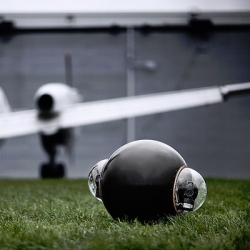 VIDEOMeet the Rotundus GroundBot, a programmable/remote controlled silently moving robotic mobile platform that hosts cameras and sensors. 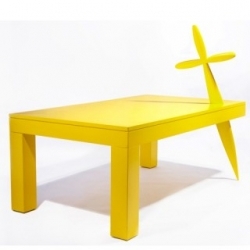 Atelier Biagetti’s bright yellow lacquered wooden table is part of a limited edition series of 10 and would be the perfect living room piece to set the stage for a fierce face-off of bloodthirsty pirates!! 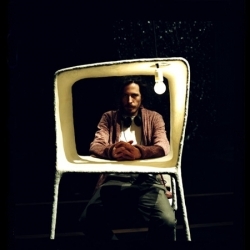 VIDEOPPP (Permanent Play Project) is the creative project which introduces new ways of 'playing' for the next generation. 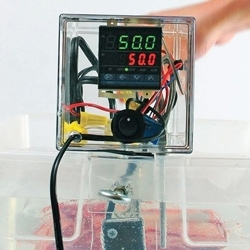 Sous vide at home with Make's DIY guide to building your own immersion cooker. 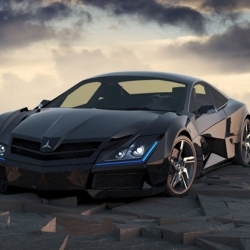 The Mercedes Benz SF1 Concept by Steel Drake is a super car inspired by intergalactic transports. 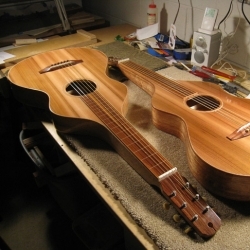 A pair of Weissenborn style guitars meant to be played on a lap with a steel bar. 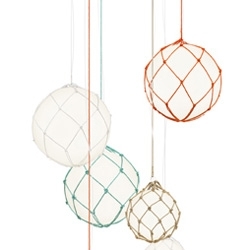 One has local Sycamore back and side wood and the other Mahogany. 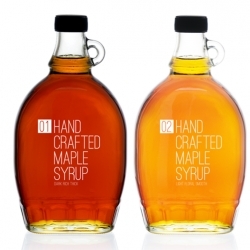 Both have Western Red Cedar tops. 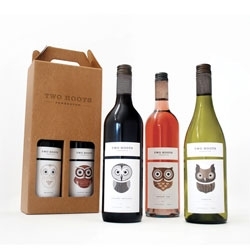 Adorable owl inspired wine packaging for Two Hoots. 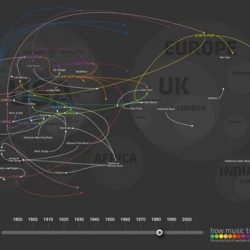 The Evolution of Dance Music through the Western world over 100 years, all in a greatly done infographic map! 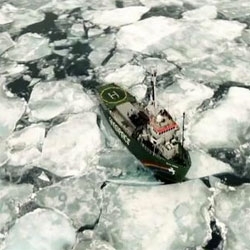 VIDEOThis September ScanLAB Projects in collaboration with Cambridge University traveled to the Arctic aboard Greenpeace's Icebreaker The Arctic Sunrise. 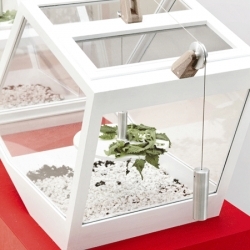 '3 Years' at the Gallery Rossana Orlandi of Milan, by the Spanish designer Nacho Carbonell. 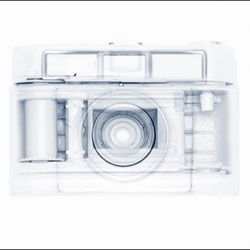 Max de Esteban disassembles products, photographs each of the individual parts, the reassembles the images to create haunting images of the whole. 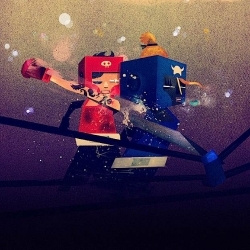 Beautiful illustrations by Dan Matutina. 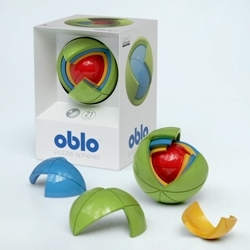 VIDEOOBLO is the award-winning 3D spherical puzzle that challenges and inspires kids of all ages. 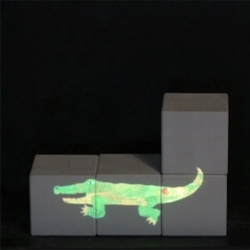 VIDEOMey Lean Kronemann's lumiBots, small, autonomous robots that can leave glowing traces. 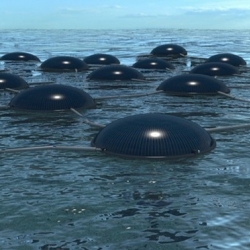 Marine Solar Cells is a new technology which would use both solar and wave energy to generate power. 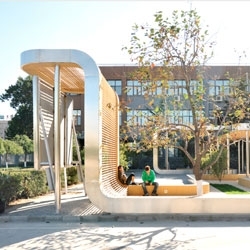 Rollercoaster, a sinuous pavilion by Interval Architects. 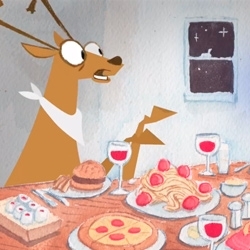 FEATUREDDr Breakfast ~ A hilarious animated short from Stephen Neary about deer preparing dinner and a soul's escape to consume everything for breakfast! 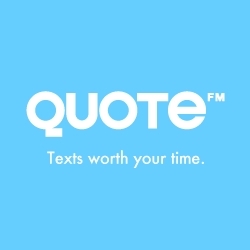 QUOTE.fm – A platform for high quality reading suggestions: "The internet. 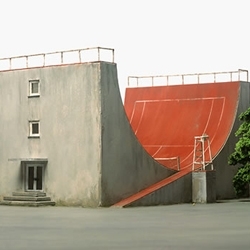 Infinite sites. 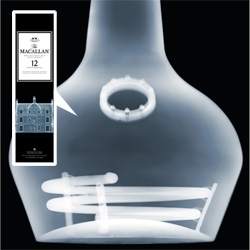 Filtered by friends. 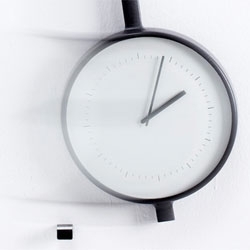 The result: A timeline full of reading recommendations." 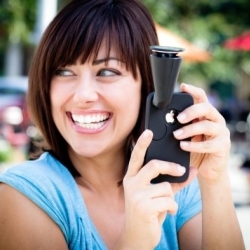 The GoPano micro is a lens for the iPhone 4 and 4S that enables you to create 360° panoramic videos. 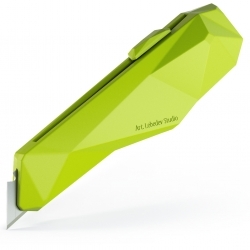 Just snap the lens to your iPhone4 and tap record to make cool interactive 360° videos instantly. 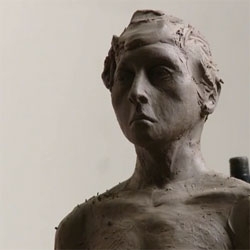 VIDEOBeautiful stop motion of a sculpture in progress. 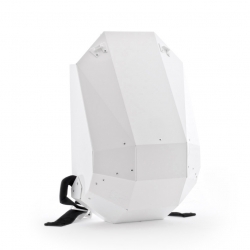 Solid Gray is a lightweight backpack that stands up to heavy use. 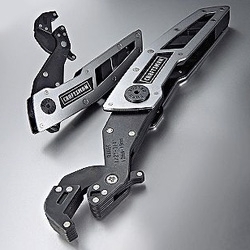 Cut and folded from a single sheet of copolymer, it makes for an extremely light hardshell. 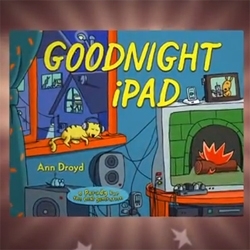 VIDEOAnn Droyd's bedtimes story for gadget lovers, "Goodnight iPad". 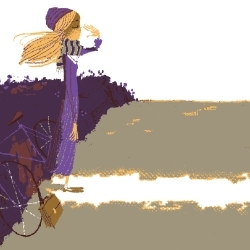 Brand new print from Marc at The Tree House Press, 'Heavy Branches'. 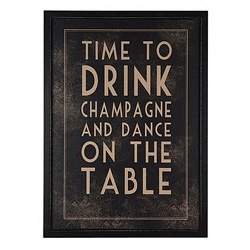 Giclee print on 315 gsm cotton rag, edition of 20 all signed and numbered. 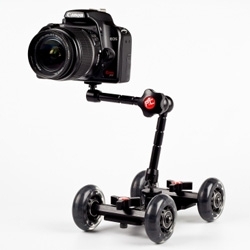 Camera Table Dolly - "It’s a compact table-top camera dolly that will give your videos a professional look and experimental edge." 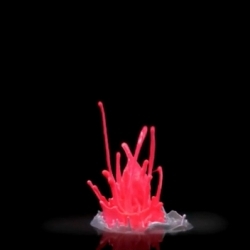 VIDEODark Sky app for iPad offers local, short-term weather forecasts. 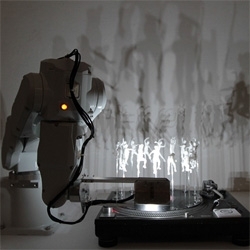 FEATUREDWhat do you get when you combine a robot arm, turntable, scans and 3D prints of a dancer, music and a light? 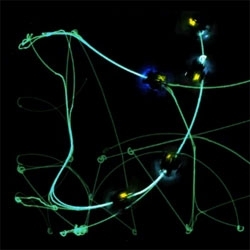 16 Forms by Daito Manabe (direction, 3D data editing, lighting+sound design) + Motoi Ishibashi (robot arm programming)! 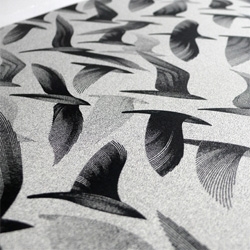 Kai & Sunny's 'Migration East' Print Edition from the 'Ghost of Gone Birds' show. Beautiful details on this grayscale swarm! 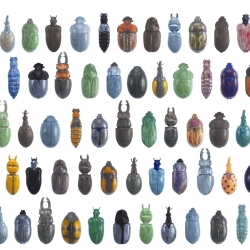 Samuel Wilkinson's Biome. 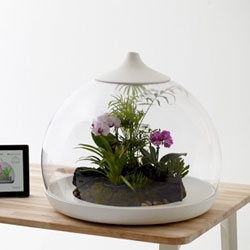 The terrarium contents can be cared for via a smartphone or iPad app which remotely controls the water, climate and nutrients.